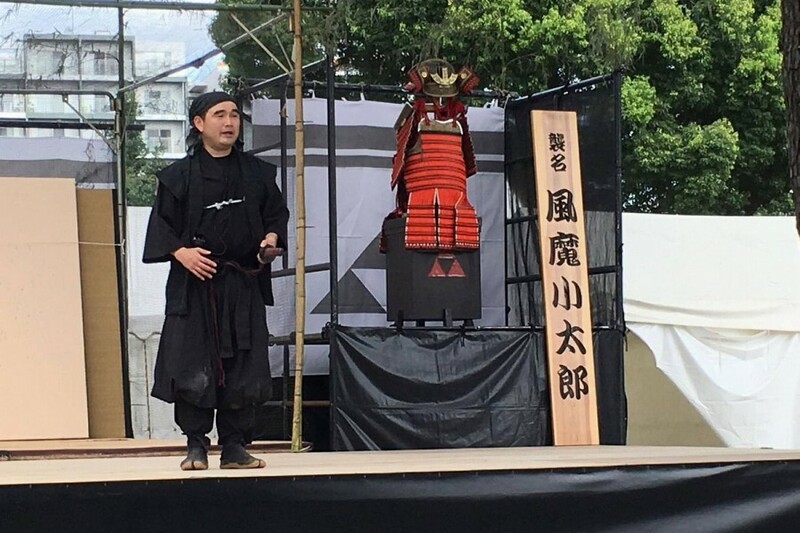 Odawara's Fuma Matsuri: The Ninja Spirit Comes To Life In Kanagawa! Want to see the skills of a ninja up close and learn more about the history of one of Japan's impressive castles? 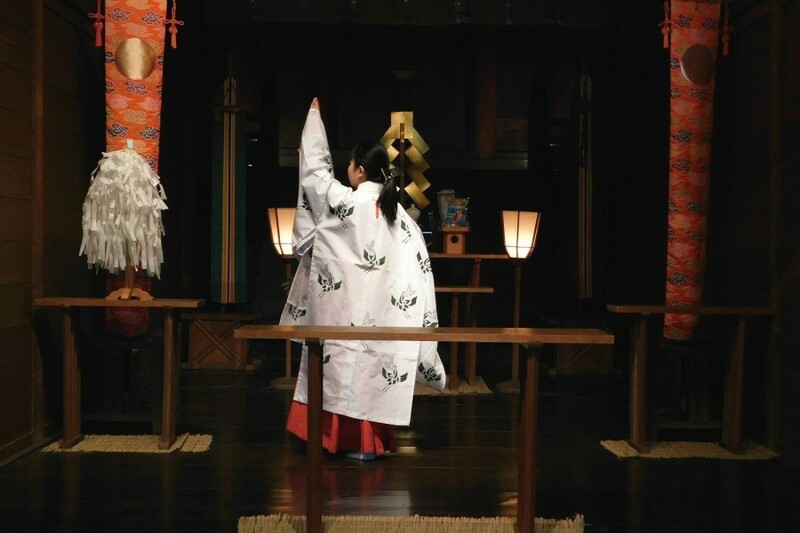 Then check out the Fuma Festival, held every August at Odawara Castle in Kanagawa. This exciting two-day event is a must! History buff and urban explorer in the Greater Tokyo Area - always looking for something new and exciting! Let's become ninjas and see the sights in Odawara! 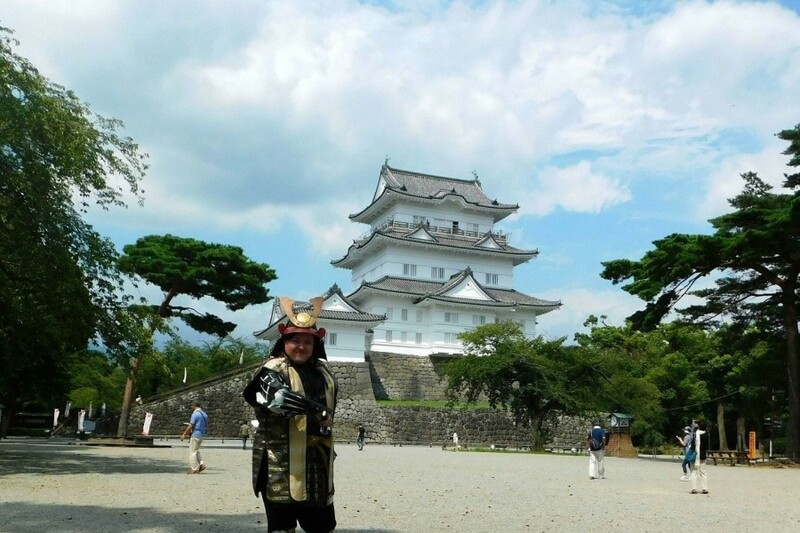 Odawara, located in Kanagawa prefecture, is where you will find Odawara Castle, first built during the Kamakura period, and controlled by successive clans of daimyo families until the Siege of Odawara (1590). After the siege, it was ultimately taken over by Tokugawa Ieyasu, who then granted it to his retainer Okubo Tadayo. The castle was ruled by the Okubo family until the Meiji Restoration (1868). 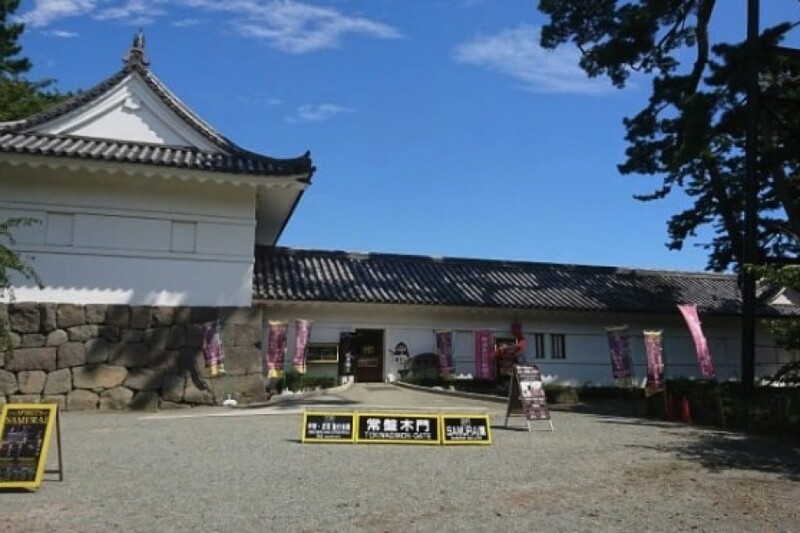 Every year in August, during the last weekend of the month, the Fuma Matsuri, a ninja festival named after the famous ninja Fuma Kotaro, is being held on the grounds of this castle. In 2017, the festival was held on August 26th-27th. Being a fan of Japanese history, I just had to check it out! One of the fastest routes to take when traveling from Tokyo to Odawara is the JR Tokaido shinkansen. A one way ticket costs 3220 yen for an adult, and will have you at Odawara Station in about 35 minutes. 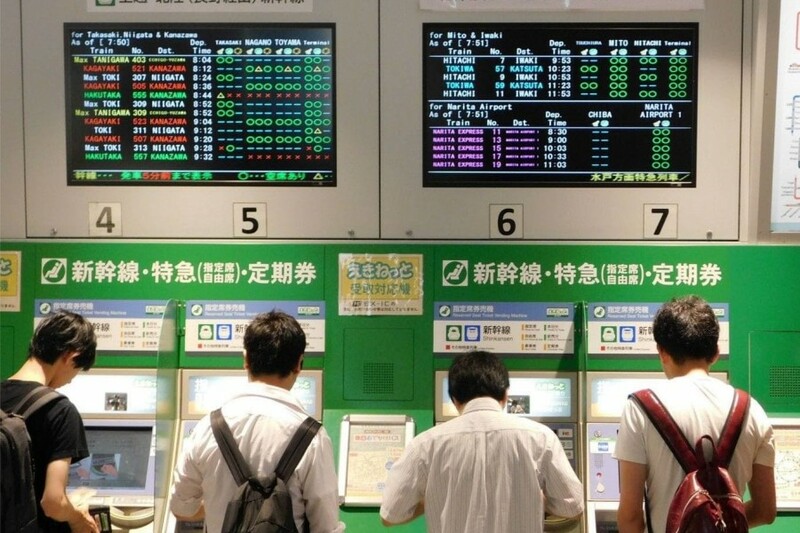 Best of all, you can buy your ticket either via the Midori no Madoguchi, where the helpful staff will take care of the procedure for you, or you can use one of the shinkansen ticket machines, which have instructions in English as well as Japanese. After I got my ticket, I had a little time so I took a look at the shops inside the shinkansen ticket gates. There are lots of little shops selling everything from fresh-baked sweets to ekiben lunch boxes to Japanese souvenirs and more. But it was soon time to get on the train and head off on my ninja adventure! Although the weather forecast had called for rain, the skies over Odawara were pretty clear, so I didn't need to worry too much about the walk to the castle itself. Just head out from the East Exit of Odawara Station, and walk for about 10 minutes, that's all it takes! If you head out from the West Exit of the station, you can also reach the castle, but that route takes 15 minutes plus, and then you still have to climb up the slope to the castle itself. 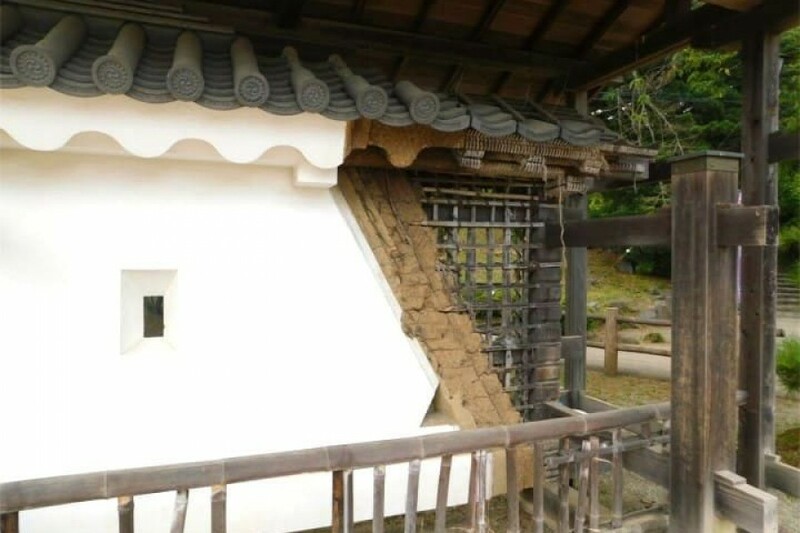 On your way into the castle grounds, near the Akaganemon Gate, you will see this outdoor display showing how the walls of the original castle were built. After crossing a small bridge and climbing up the stone stairs, this is the sight that greets you at the top! 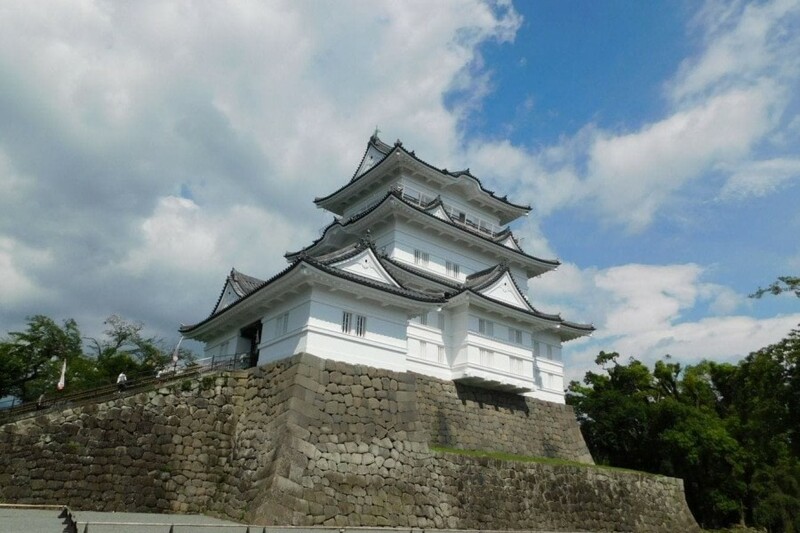 This is Odawara Castle, the completely refurbished castle tower and exhibition. The castle underwent a considerable renovation and reopened in May 2016, with numerous new additions and exhibition spaces where various artifacts and items from the castle and surrounding area's history can be seen. Admission to the castle costs 500 yen for adults and 200 yen for elementary to junior high school aged students. After getting my ticket, I noticed this display on the information counter. 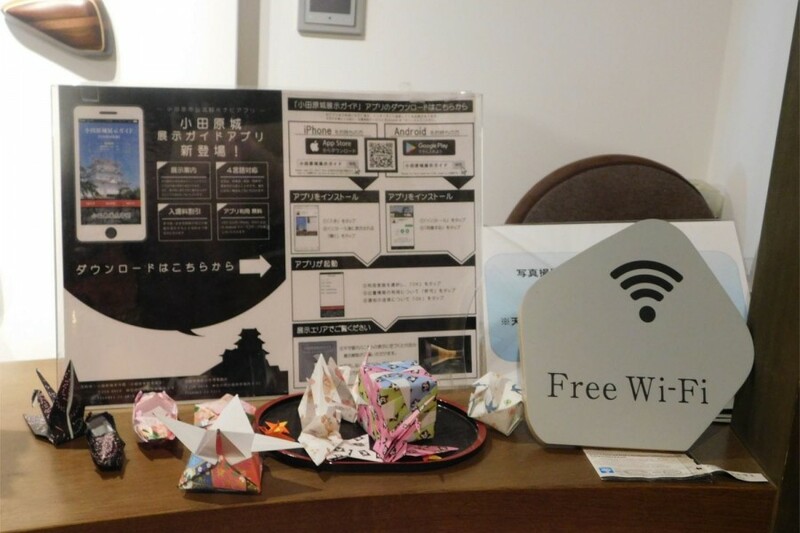 There is free wi-fi throughout the castle itself, and there is also a free smartphone app that will guide you around the castle too available in Japanese, English, and Chinese (Simplified and Traditional). You can also pick up paper pamphlets in Japanese, English, Korean and Chinese at the information desk as well. 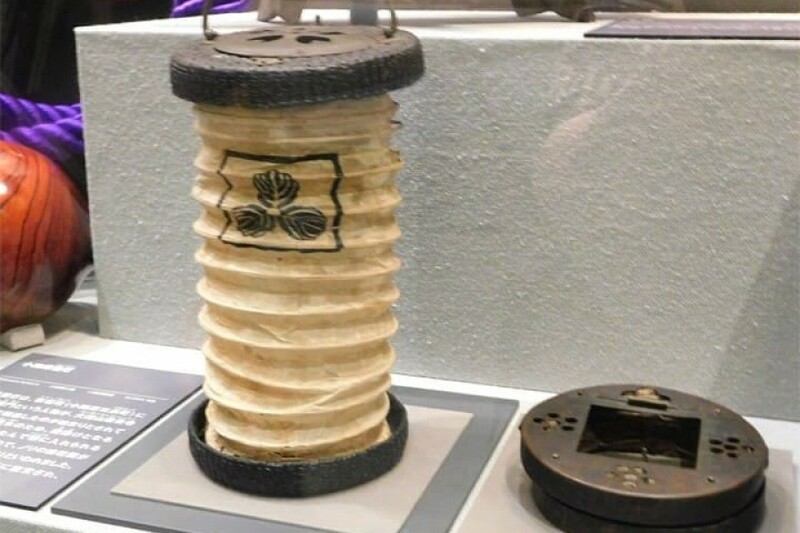 On the first floor is an amazing museum where you can see various items from Odawara, including a portable Odawara lantern. Odawara lanterns were used by people traveling along the old Tokaido road that ran from Kyoto to Tokyo. These lanterns were vital for anyone traveling at night, and, when not in use, could be folded up and safely contained in their metal case. Isn't that fascinating? Here you can also see some of Odawara's recognized Cultural Properties as well, which include two amazing painted screens that so many people stopped to gaze at I couldn't get a clear photo of them! Of course, it's important to note that flash photography is not permitted inside the castle and in some areas of the permanent exhibition floor (the second floor) photography is not permitted whatsoever, so please make sure to obey the signs and instructions of the staff here. 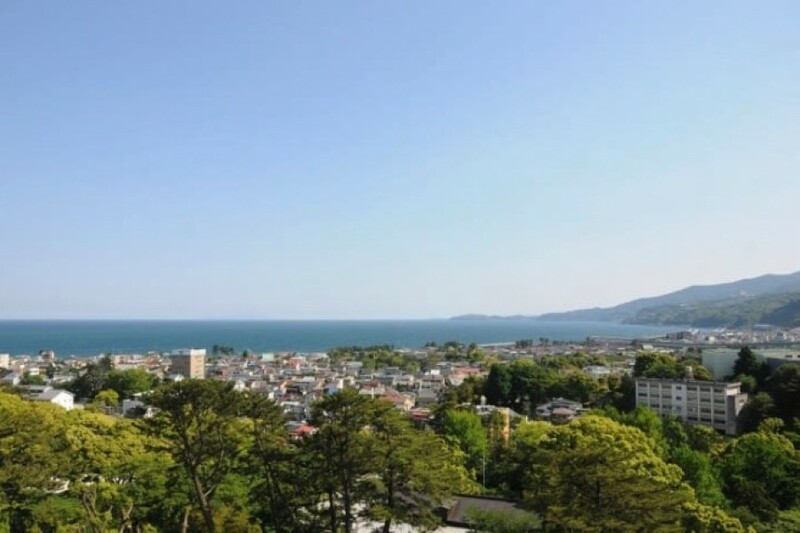 From the fifth floor of the castle, you can venture outside and take in a stunning view of Sagami Bay and all of Odawara spreading out around you. I'm so glad it turned into a sunny day! After seeing the sights inside the castle, including all the suits of armor on the special exhibition floors, I was feeling pretty inspired. So, I headed over to the Tokiwagimon Gate, where you can try on a kimono, or change into a ninja costume! The ninja costume rental is available from 9:30-16:00 (last rental at 15:30) and only costs 300 yen for adults (junior high aged and over) and 200 yen for children (elementary school aged and under). * The ninja costume rental service is available all around the year, not only during the Fuma Matsuri Festival. Although I was really interested in the ninja costumes, I also wanted to know just how heavy a samurai helmet was, so I opted to transform in Oda Nobunaga. Pretty intimidating, right? They have suits of armor and all other costumes in a wide variety of sizes too, so it was pretty easy and quick to transform into a samurai. Those helmets are pretty heavy! It took some time getting used to it, but after a while, I almost didn't want to take it off. After changing back into my usual self, I headed down the hill away from the castle to check out the Fuma Matsuri. As I mentioned before, the Fuma Matsuri takes its name from Fuma Kotaro, a semi-legendary ninja whose family were famed for their horseback warfare, and served the Hojo family at Odawara Castle. This festival began five years ago, and has grown in size each year, with visitors from all around Japan and overseas too coming to take part in its fun activities. The Fuma Matsuri is a great place for both families and groups of friends to check out. 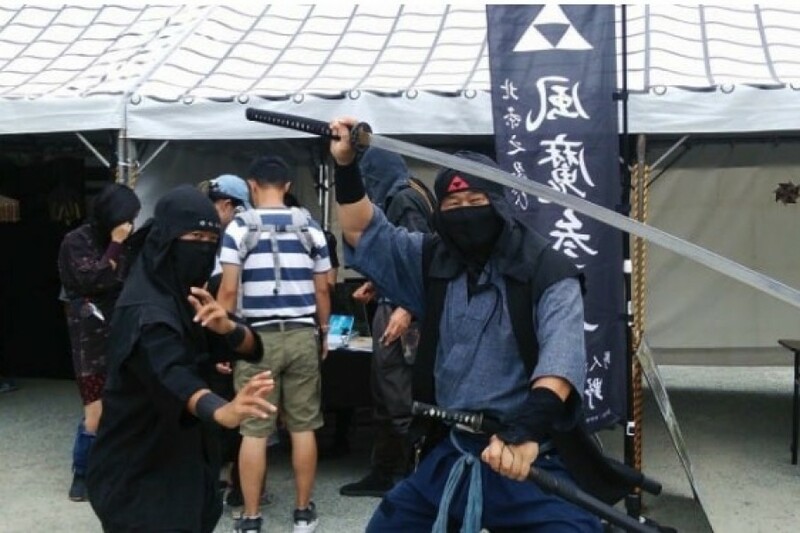 Here, you can learn how to throw shuriken (ninja stars), use Japanese style blow darts, try Japanese archery, and even see replicas of the weapons and items that the typical ninja used. 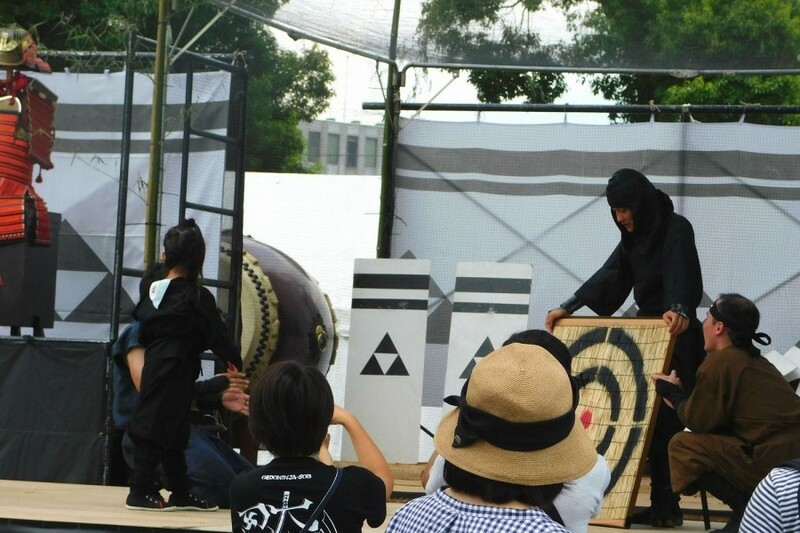 Kids can even take part in a ninja maze, climbing activities, and shuriken stage performances too. Not only that, but there were also swordsmanship performances on stage by master swordsmen from the Odawara area as well. In another area of the festival, there were vendors selling festival food and drinks, as well as a booth where you could learn to make your own washi paper, and purchase locally made crafts too. After trying my hand at throwing shuriken and blow darts, I was starting to get pretty hungry, so it was time for lunch. Only a five minute walk from Odawara Castle is Kaishu, a seafood specialty restaurant that serves a variety of gorgeous dishes made using locally sourced ingredients. They are quite busy at lunchtime, but when you see their menu, you're sure to know why! 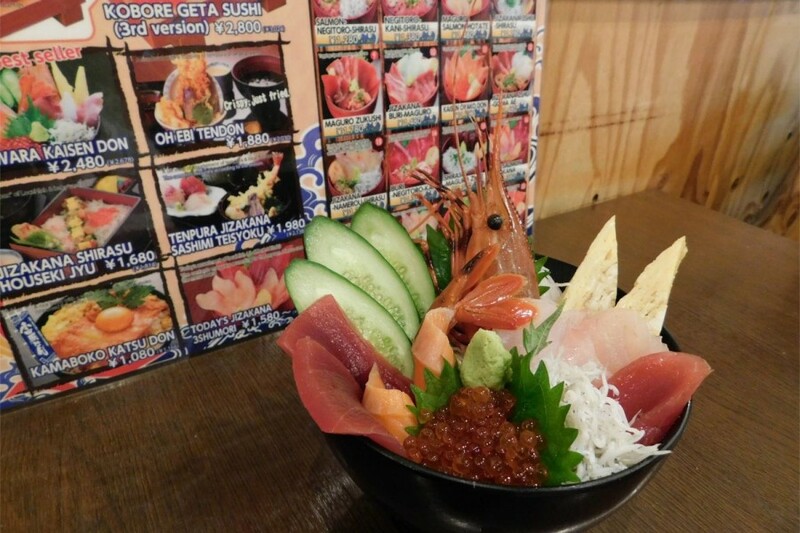 This is their original kaisendon dish, the Odawara Kaisendon (2678 yen with tax), which features maguro tuna, salmon, ikura (fish roe), shirasu (whitebait), omelette and other local fishes, as well as a whole large shrimp on a bed of steamed rice. The fresh wasabi and sushi rice, as well as the other toppings, make this dish taste even better - the sheer variation available just in this one bowl is sure to make you feel like you've had an entire seafood course! Plus, if you ask, you can have the head of your shrimp used to make a flavorful bowl of white miso soup too, for free. 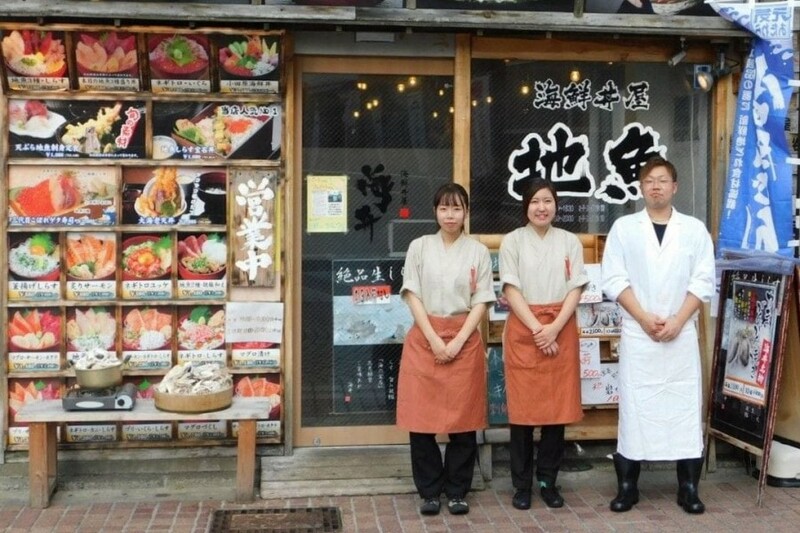 One of their other most recommended dishes is their O-ebi tendon, a rice bowl topped with shrimp, seafood and vegetable tempura, served with miso soup, Japanese pickles, and chawanmushi (steamed egg custard) (2030 yen with tax). Thank you very much for my amazing lunch! Menus at Kaishu are available in Japanese, English and Chinese, and they also have a halal-friendly menu as well, so this is the perfect place to stop by for lunch or dinner in Odawara. After lunch, there was one more place I couldn't miss out on in Odawara. 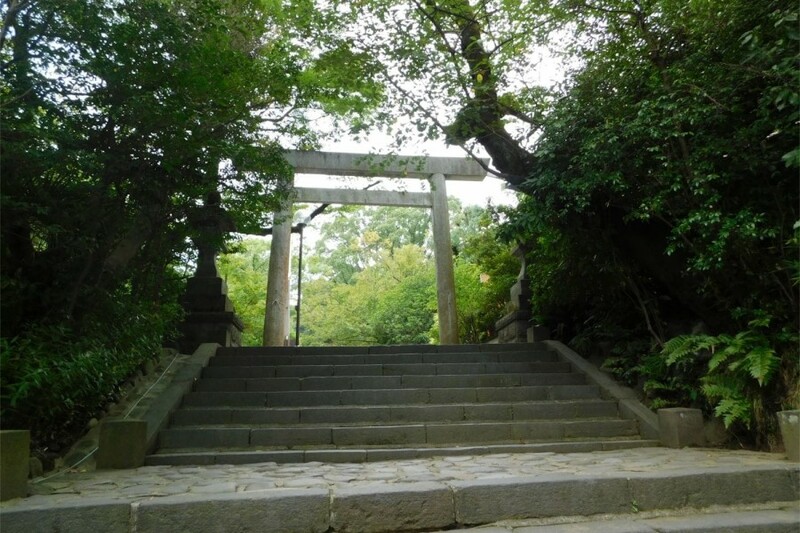 Hotoku Ninomiya Shrine is only a short walk to the west of the castle, and is a shrine dedicated to Ninomiya Sontoku, a leading 19th century agriculturalist, moralist and leader in the Odawara area. 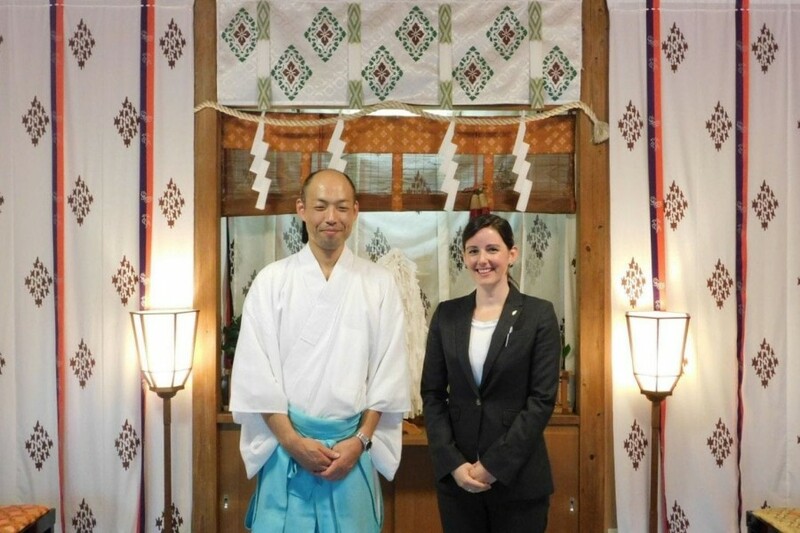 In order to get the very most out of my visit to this shrine, I was guided by Judith Lenherr from Local Japan, an English tour company dedicated to showing off the best of the Odawara area to visitors from around the world. I took part in the Discover Shintoism course, which lasts about two hours (5900 yen), and introduces participants to the world of Japan's indigenous religion, Shinto. First, I learned how to purify myself before entering the sacred space of a shrine, then listened to a lecture by one of the priests of Hotoku Ninomiya Shrine, before being lead into a special shrine area and taking part in a special ceremony, as well as seeing a kagura dance right before my eyes. It was a very awe-inspiring, and impressive experience that I don't think I will ever be able to forget. After taking part in this ceremony, I was taught how to properly write my very own ema, or votive tablet, in Japanese calligraphy. This entire tour is truly a once-in-a-lifetime opportunity that is not only very inspiring, but one that has really become one of my most treasured memories of my time in Japan. HaRuNe Odawara is an underground shopping center attached to Odawara Station. 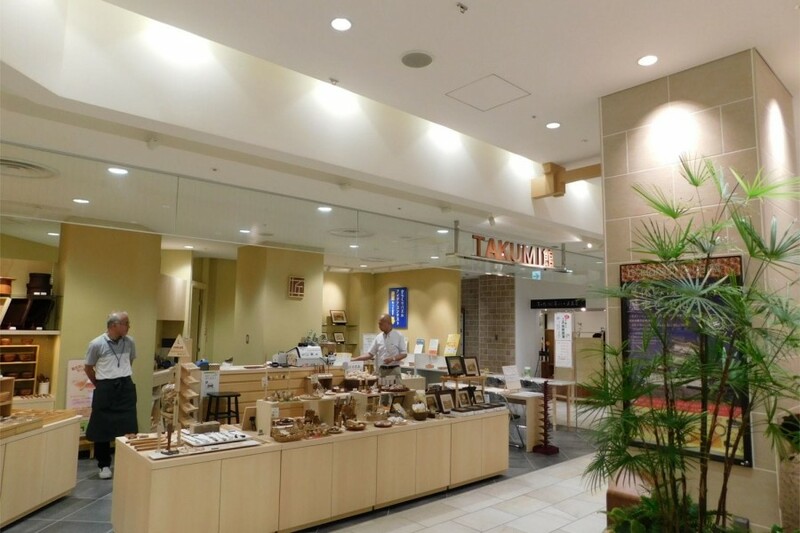 What makes this shopping center unique is that it is divided in half: one side has daily shops and various other stores, while the other has souvenir stores and shops selling Odawara's own specialty products. Odawara is best known for its kamaboko (pressed white fish paste), which is a popular and tasty topping for a variety of dishes, including udon and soba noodles. 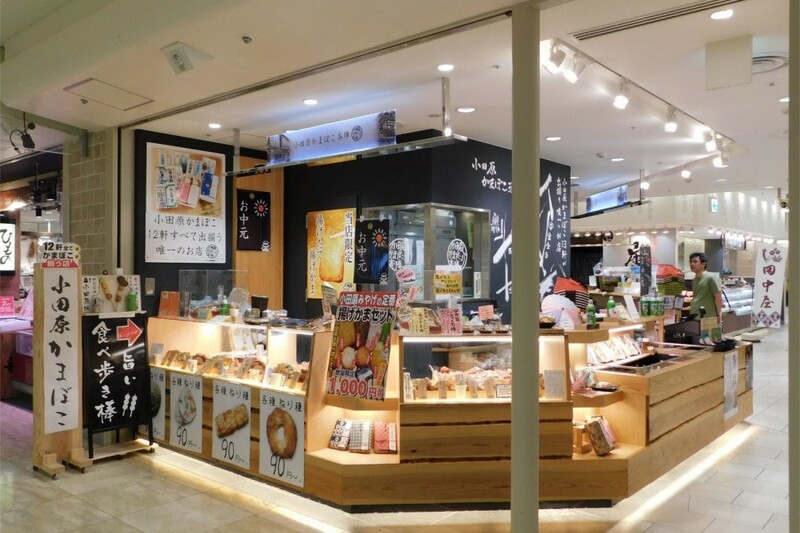 At Odawara Kamaboko Honjin, you can purchase twelve different varieties of kamaboko, all manufactured in the Odawara area. This is what sets Odawara Kamaboko Honjin apart - they are the only shop where all twelve of these specialties are sold. 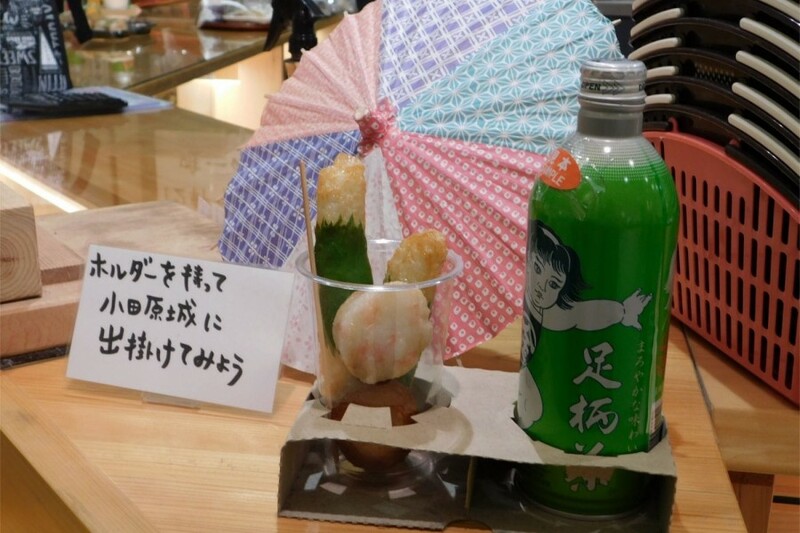 They even have a special set you can order, where individual pieces of deep fried kamaboko can be ordered in a carrying cup along with a can of beer or Japanese green tea (kamaboko range in price from 90-180 yen, tea 120 yen, beer 350 yen, all without tax). If you want to enjoy a taste of Odawara as you stroll about, then this can't be beat. They also have signs in English, Chinese and Korean, so if you need help or want to know more about a certain item, they can assist you. Other very popular souvenirs from Odawara are the wooden handicrafts. At Takumi Kan, you will see some of the most intricate and elegant pieces of woodwork in the world. Their wooden bowls have even won international acclaim after being presented at the Maison & Objet International Trade Fair for Home Collections in France. These pieces come in many forms, including tableware, jewelry, and of course, interlocking wooden puzzles too. 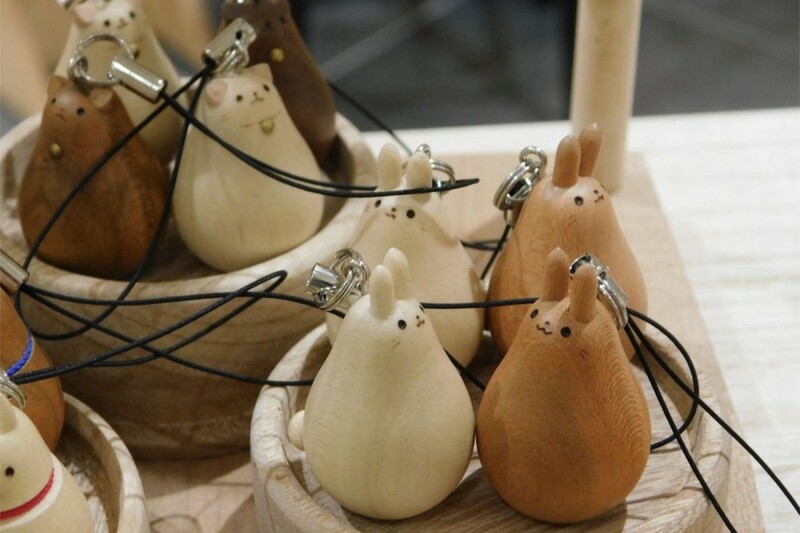 But one of their most popular items are these handcrafted wooden animal cell phone or bag straps; you can choose from birds, chickens, pigs, bears, cats, Shiba inu, and these rabbits too. Why not pick up something to decorate your home with, or find something for someone special here? Accepted Credit Cards Some of the shops accept credit cards. Access Directly connected to station. Despite having lived in the Kanagawa area for several years now, it never ceases to amaze me just how many new and incredible things there are to learn about the area! I learned so much about Odawara and Japanese culture, and made so many fun memories too. One more way to enjoy your day in Odawara is to take part in an Odawara lantern making experience. The Odawara Chochin lantern making course is held at the Nariwai Koryukan, a small hall where visitors can stop by and take a break during their travels in the city. This community center holds different activities each month and throughout the year, including the chochin lantern course. By all means, when you are in the Odawara area, do make your very own lantern! Ride length (one way): 35 minutes. Lunch, souvenirs, tour, etc: about 10,000 yen for the whole day!